Sing the Sohila and remember the Creator. Sing the Sohila of my Fearless Lord; I am a sacrifice to that song of joy by which everlasting comfort is obtained. Ever and ever living things are watched over; the Giver regardeth their wants. When even Thy gifts cannot be appraised, who can appraise the Giver? The year and the auspicious time for marriage are recorded; relations meet and pour oil on me the bride. O my friends, pray for me that I may meet my Lord. This message is ever sent to every house: such invitations are ever issued. Remember the Caller; Nanak, the day is approaching. There are six schools of philosophy, six teachers, and six doctrines. The Guru of gurus is but one, though He hath various forms. In which the Creator is praised that will redound to thy glory. [1. The collection of hymns called Sohila is repeated at bedtime by pious Sikhs. It consists of three hymns of Guru Nânak, one of Guru Râm Dâs, and one of Guru Arjan. The word Sohila is derived from sowam wela meaning in the Panjabi language the time for sleep. So, O Nanak, there is but one God, although His forms are many. The sun and moon, O Lord, are Thy lamps; the firmament Thy salver; the orbs of the stars the pearls enchased in it. What worship is this, O Thou Destroyer of birth? Unbeaten strains of ecstasy are the trumpets of Thy worship. Thou hast a thousand stainless feet and yet not one foot; Thou hast a thousand organs of smell and yet not one organ. I am fascinated by this play of Thine. O God, my mind is fascinated with Thy lotus feet as the bumble-bee with the flower: night and day I thirst for them. Give the water of Thy favour to the sarang Nanak, so that he may dwell in Thy name. The city is greatly filled with lust and wrath; but these are destroyed on meeting the saints. By predestination the Guru is found, and the soul is absorbed in the region of God's love. Salute the saint with clasped hands--this is a greatly meritorious act. Prostrate thyself before him--this is a greatly religious act. The infidel knoweth not the taste of God's essence; he beareth the thorn of pride in his heart. The more he moveth, the more it pricketh him, and the more pain he feeleth: his head shall feel death's mace. The saints of God are absorbed in God's name, and have destroyed the pain and fear of transmigration. They have found God the imperishable Being, and great honour is theirs in the earth's continents and the universe. O God, we poor, and wretched, are Thine; preserve us, preserve us, Thou greatest of the great! The Name is Nanak's support and prop; I have obtained happiness through being absorbed only in God's name. I pray you hear me, my friends, it is time to serve the saints. Earn here the profit of God's name, and in the next world ye shall abide in happiness. Human life groweth shorter every day and night O man, meet the Guru and arrange thine affairs. This world is involved in wickedness and superstition they who know God are saved. He whom God awakeneth and causeth to drink the essence of His word, knoweth the story of the Ineffable. Purchase that for which thou hast come into the world, and God by the Guru's favour will dwell in thy heart. Thou shalt find a home with comfort and peace in God's own palace, and not return again to this world. O God, Searcher of hearts, Arranger, fulfil the desires of my heart. 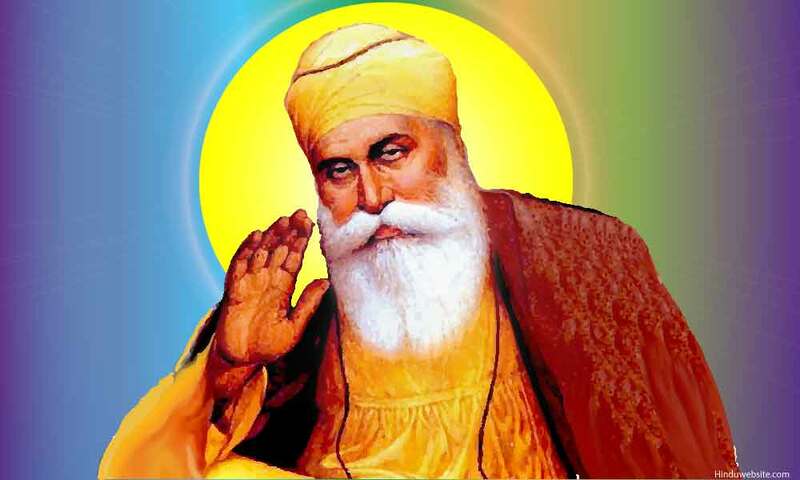 The slave Nanak craveth the happiness of being made the dust of the saints' feet. And shall quaff the essence of God's name: it is he who knoweth the story of the Ineffable.